Yesterday we participated as Team Birdorable in the 14th annual Big Sit birding event. 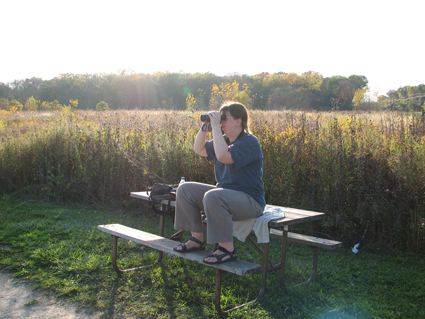 The Big Sit involves observing as many different bird species as possible while remaining basically in the same place. 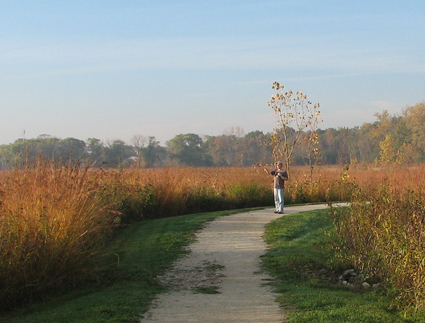 Big Sit participants find a good birding spot and remain within a 17 foot diameter circle during the event. 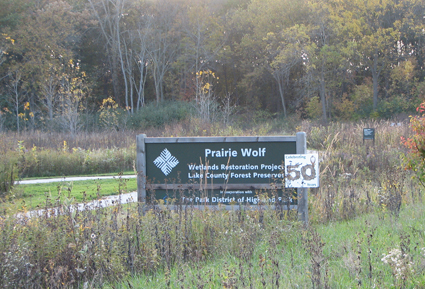 We are lucky enough to live within walking distance of a county preserve: Prairie Wolf Slough in Lake County, Illinois. We arrived at our ‘circle’, a picnic table, shortly before sunrise. 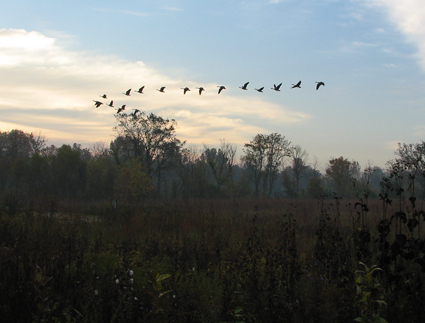 Our first bird was a Mallard flying over, and then the first of many flocks of Canada Geese leaving the slough for the day. Other flyovers included Herring Gull, American Crow, Great Egret and Great Blue Heron. 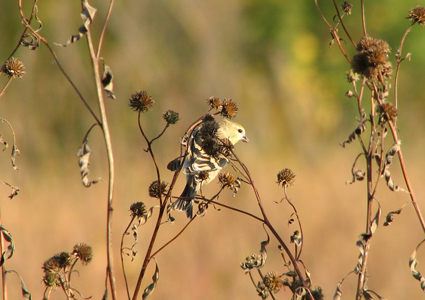 American Goldfinches and Red-winged Blackbirds were the most abundant species. 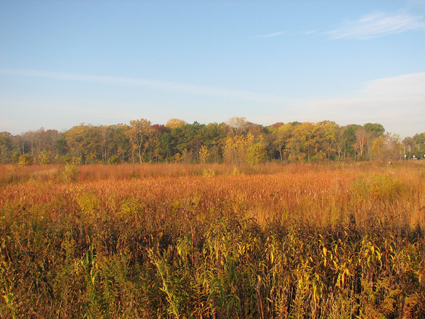 Our total species count was 16, nowhere near fellow Illinois Big Sitters Birdfreak’s impressive total of 42. We had a lot of fun during our first Big Sit and we are looking forward to participating again next year! 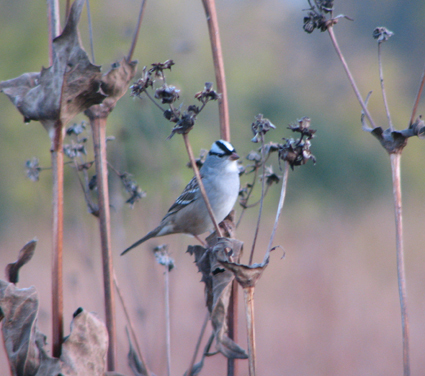 This entry was posted in Birdorable, Festivals & Events, Illinois. Bookmark the permalink.